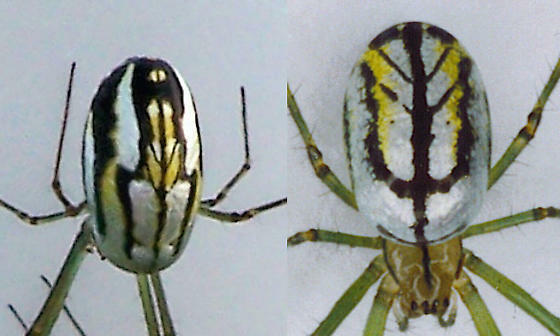 In answer to a question Hannah asked, we merged Susan Doll's Leucauge argyra #40257 (on the left) side by side with Tom Adam's Leucauge venusta # 3527 (on the right) to show the similarities and differences between the two species. Hope people find this helpful and that Tom and Susan approve. Moved from Longjawed Orb Weavers.